You can click on these images to see full size versions. You could even copy them to your own computer or print them off. Mr Byer has been running a very popular lunchtime club for Year 4. This year we have arranged some matches for them against other schools. We decided to finish the term with a challenge match against some Year 5 players. Each year group had 2 teams. The B team game was won 2-0 by Year 5 and the A team game 3-0. Both matches were played in a good spirit and showed that there is plenty of talent coming through the school at the moment. 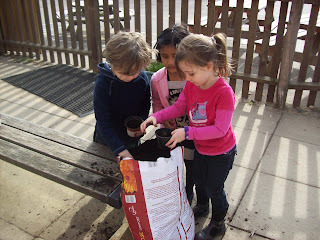 Children in our Nursery have been planting seeds in pots. 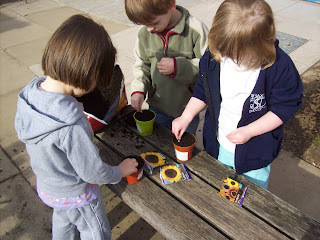 These pictures show some children planting sunflower seeds. They have also started growing potatos in bags, runner beans, dwarf beans, peas and radishes. All of their produce will end up in the school kitchen. Are you interested in learning to play hockey? Mr Brook coaches at Harleston Magpies Hockey Club - just 12 miles from Framlingham. Magpies are running a beginners course after Easter for boys & girls in school years 3 to 7. Magpies have some of the best facilities in the whole country (2 astro turf pitches) and a National reputation for its Youth section. The club has produced 20 youth internationals over the last 10 years and several teams which have won National Competitions. The club caters for players of all abilities and has teams from under 9 upwards. On Saturdays the club runs 7 mens and 7 ladies teams. These teams are full of young players aswell as adults. 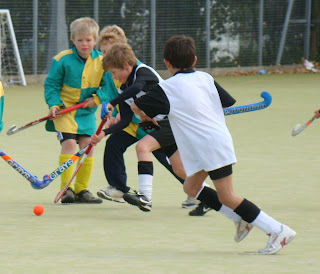 Most of the young players started at the club when they were under 11 and have progressed into adult hockey. The club also prides itself on the social side of playing sport. See Mr Brook or the school office for a leaflet about the beginners course. The course runs for 5 weeks on Tuesday evenings after Easter. On Wednesday afternoon our Year 6 children were invited to Thomas Mills High School to watch a display of owls. The demonstration was by a charity called 'Owl Wise' who look after injured or badly treated owls. Most of their owls are returned to the wild. Demonstrations such as this are valuable fundraising events. We got to see Eagle owls, Barn owl, Hawk owl and Longed eared owl. Here is an outline of the story. Outside the Palace grounds a birthday party is being thrown to celebrate Prince Siegfried’s coming of age. His tutor, Wolfgang, is fussing over the preparations as Siegfried’s best friend Benno and the court arrive. When Siegfried arrives he is greeted by the peasants, and responds with gifts of wine for the men and ribbons for the women, before standi ng back to enjoy the performance of three dancers (a pas de trios) who have been hired for the occasion. The celebrations are interrupted by Siegfried’s mother, the Princess. Worried about her son she tells him that he has to settle down. At the official birthday ball the following evening, she expects him to choose a wife. Siegfried reluctantly agrees and escorts her out, but a pall has fallen on the evening. The tutor tries to lighten the mood by dancing with two young girls but, by now fairly drunk, he spins out of control and collapses to the floor. As darkness falls, Benno sees a flock of swans in the sky and, still trying to distract the Prince, suggests a hunt. They take crossbows from the palace guards and, accompanied by some cadets, set off in pursuit. As Act II begins the cadets have overtaken Siegfried, and hurry through a lakeside glade. When the Prince arrives, the swans have settled on the water, and he is just about to shoot one of them when he is frozen by the sight of a swan transforming into a maiden. At first she is terrified of him, but when he promises not to harm her she tells him that she is the Swan Queen, Odette. She and her companions have been placed under a spell by an owl-like evil spirit called Von Rothbart.. By day they are swans, returning to human form only at night, beside this lake which, Odette says, was formed from the tears of her grieving mother. The spell can only be broken if a man who has never loved another woman swears to love her forever, and marries her. The evil spirit appears, and Siegfried is about to shoot it when Odette stops him. If Von Rothbart is killed the spell will never be broken. The spirit disappears, and Odette’s companions suddenly fill the glade. Siegfried is only just in time to rescue them from Benno and the cadets, whom he dismisses. Alone with the swan-maidens, Siegfried sets about winning Odette’s love and her trust. 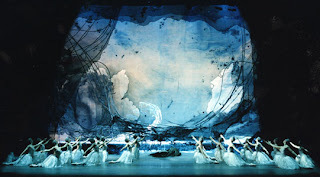 But as dawn arrives Rothbart beckons to her and, unwillingly, she is dragged back to the water, and the shape of a swan. Act III opens on Siegfried’s official birthday celebration, as his mother orders him to dance with six princesses and choose one as a bride. He objects that he does not love any of them. The stalemate is broken by the arrival of Von Rothbart, in human form, with his daughter Odile, who is bewitched to resemble the Swan Queen. Before Siegfied can approach Odile, dancers from Spain, Hungary, Naples and Russia perform to honour the prince. After the entertainment is over Siegfried dances with Odile. By cunningly echoing the movements of Odette she seduces the Prince, and although an apparition of the real Odette appears for a moment to warn him, it is quickly banished by Von Rothbart. Dazzled, the Prince chooses Odile as his bride and swears to love her forever. In a flash Von Rothbart reveals a vision of the stricken Swan Queen, before disappearing with his daughter. Frantically, Siegfried hurries back to the lake. Act IV returns to the lakeside where Odette has reconciled herself to death, as the other swan-maidens try to comfort her. To break the spell, she has decided to drown herself in the lake. As a storm rises, Siegfried desperately searches for Odette, who is hidden by her companions. When he finally finds her he swears he loves only her, and she forgives him, but Von Rothbart appears and insists that Siegfried marry his daughter, after which Odette will become a swan forever. Siegfried prefers to die alongside Odette. As the pair throw themselves into the storm-tossed lake, the spell is broken, Von Rothbart is destroyed and the souls of the lovers are finally reunited. Like any good story Swan Lake has had many retellings. 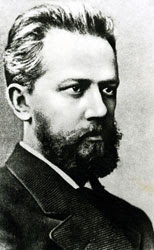 Anthony Dowell’s version of Swan Lake for the Royal Ballet sticks very closely to the scenario of the first ever Petipa-Ivanov production in St Petersburg in 1894. In Soviet Russia, the ballet often had a happy ending, in which Siegfried killed Von Rothbart and saved Odette. Some choreographers have added a prelude showing the enchantment of Odette, in order to reduce the amount of mime in the second act. Others have tried to remove the supernatural element altogether - Graham Murphy’s Swan Lake for The Australian Ballet is a tragic love-triangle between a Prince, his mentally unstable young wife and his older mistress (Baroness Rothbart). 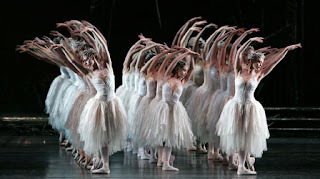 Even the Petipa-Ivanov scenario is a long way from the Swan Lake story as originally imagined by Tchaikovsky. In the 1877 Moscow premiere, Odette is the daughter of a good fairy, who is being pursued by her wicked witch of a stepmother. Her maternal grandfather keeps her and her companions safe at the lake by night, but allows them to fly about as swans by day. Only the magical crown that she wears protects her. After Siegfried swears his love to Odette, and then betrays her at the ball, she refuses to forgive him, but in his blind passion he swears that they will never be parted and snatches the crown from her head. Odette and Siegfried are now at the mercy of the stepmother, and the waters of the lake engulf them both. Click on his picture to find out more about him. Menus for the next two terms are coming out with this letter; copies can also be seen in the classes and on the Parent Notice board. 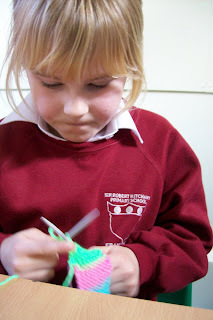 We will also be posting a version of it on the Blog pages of the School Website. A performance of ‘Travelling by Tuba II’ is to take place during the morning of Tuesday 31 March (Nursery will be attending). The performance features a journey around the world, from Egypt, China, Rome and Turkey, to the Swiss Alps, Austria and South America! It features a completely different set of exotic instruments to those seen before. The cost of this event is £250. We are not asking the parents to contribute on this occasion as the school will pay in full. Note for Year 6 – those going on the London trip the day before, may come in later on the morning of Tuesday 31, however if they wish to see Travelling by Tuba they will need to be in by 9.15am, but if they wish to come in later they must arrive by 10.30am. Please remember that the children should report to the office when coming in late. The Easter Service will be for the children only, and will take place on Thursday 2 April at St Michael’s Church. 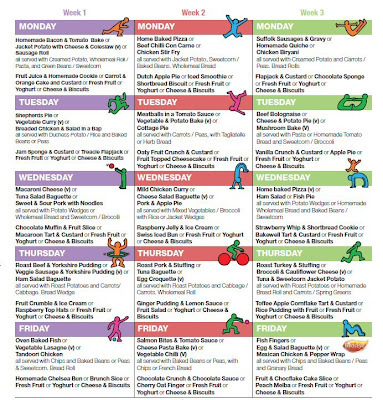 SCC Catering are planning an Easter themed lunch for Thursday 2 April, look out for the menus in the classrooms. THE LAST DAY OF TERM IS FRIDAY 3 APRIL AND THE CHILDREN RETURN ON TUESDAY 21 APRIL. HAVE A HAPPY EASTER! 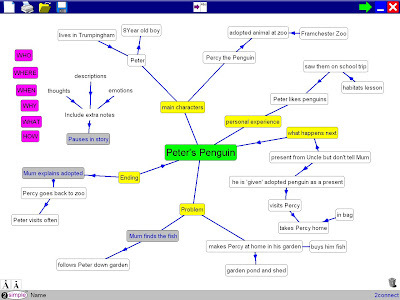 In literacy (Year 5) we have been using an ICT program called '2 Connect' to help plan stories. 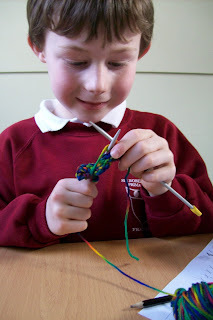 It is very useful because you can move things around, add new ideas, make links, insert notes, colour codes and images. You can then run through your story plan as a presentation. We also used another piece of software to record our story presentation as a media file. On the 13th of march till the 15th of march their was the young art east anglia competition which was held in the Peter pears gallery aldeburgh where hundreds of pictures drawn by children of all ages, and they came from all different schools, were hung on the walls of the well known art gallery . Their were 4 children from our school were either in highly commended or were hung on the walls . 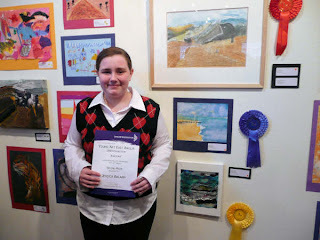 There were many people crowded into the art gallery for the prize giving at 11 o'clock, it included many teachers from schools all around suffolk along with the prize winners themselves also the judge of the pictures, Karen Downing who also awarded all of the prize winners!!!! 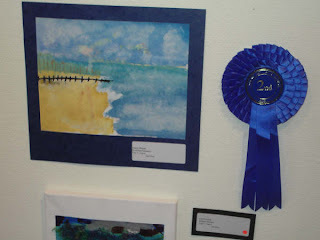 We all had a great time, going up and collecting our certificates and prizes, lots of people were taking photos it was a lovely time, for coming second in the year 5/6 category my prize was a fantastic set of 24 oil pastels. 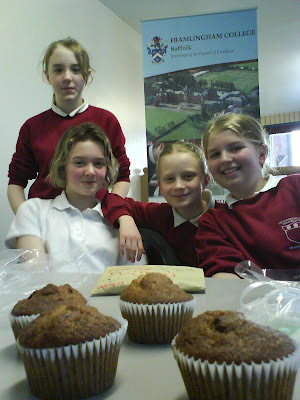 Grace, Miriam, Georgie and Molly selling 'something yummy for money' for Comic Relief at Framlingham College Pool - to families of children having swimming lessons. One of our girls: Josie from Class GM has just become a multiple Suffolk swimming champion. She was the winner of 3 different events: butterfly, freestyle and medley. Her trophy was for the overall best swimmer. Josie trains very hard at St. Felix swimming club near Southwold. Our Foundation classes held a Mothers Day Service at St. Michael's Church. We are sorry that the lunch planned by Suffolk County Catering for this Thursday titled ‘Mother’s Day Lunch’ has understandably caused confusion! This lunch is just for the children. 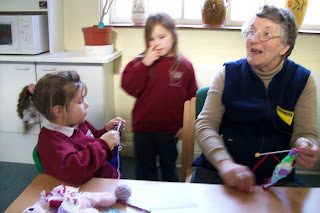 We are planning to run some ‘Bring your Parents to Lunch’ days later in the summer term. 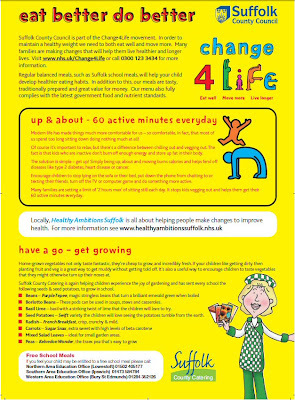 The kitchen team would like us to advise parents that the chips served on a Friday are not salted nor are they spicy, they are made from just potatoes and vegetable oil. 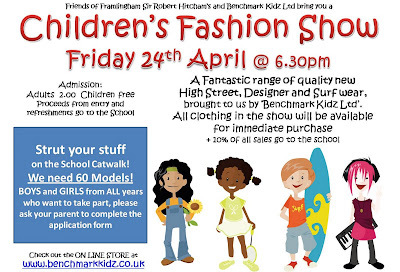 The Friends would like to remind all the budding catwalk models out there that the slip for you to take part in the Fashion Show needs to be returned to the office by Thursday 26 March. Any offers of parents to help with the dressing of the models would be appreciated. The Friends have had a disappointing response to the request for any volunteers to undergo shallow water training in order to supervise the after school swimming sessions in June/July. They have only had 2 parents volunteer – unless there are more parents willing to be trained they will not be able to run the after school swimming this year. If you feel you can do this, please fill in a form from the office. After school on Friday we filled a coach with 2 Netball Teams and 3 Football Teams for a set of matches against Debenham Primary School. Both Netball teams won their matches. The Year 4 Football Team team won 8-0 with Adam scoring 4. Our A team lost 3-0 to a talented Debenham team. The scoreline hardly reflected the play though. 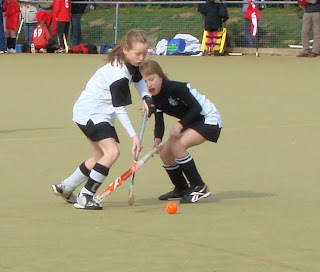 Framlingham played well and had plenty of goal scoring chances. The difference between the sides was in the quality of the finishing. Our B Team had a more comfortable 4-0 win. Please find below the academic year for 2009/2010 which includes the 2 confirmed non-pupil days. Thank you to all of you who purchased books from the book fair, we have made £377 in commission, giving each teacher £29 worth of new books for the classes. TABLE TENNIS TABLE FOR SALEWe have a fold-up full size Table Tennis table that we are offering for sale to any family who may be interested for a donation to the school. Please speak to the office. Don’t forget to get your applications in as this event was a sell out at Christmas. 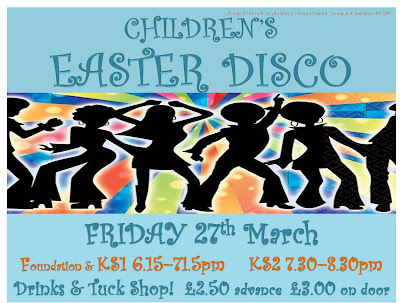 Parent helpers will be needed for the Key Stage 2 Disco, so if you are able to volunteer please let the Friends know. 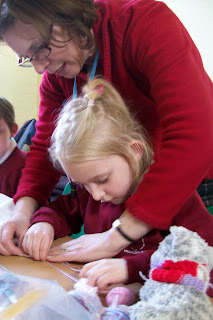 We could really do with more parent helpers to read in class NS (year 3 and 4). If you are able to offer help, please speak to Mrs Bell or Mrs Skevington to arrange a suitable time. The office can supply you with a volunteer form if you are not already checked on our list 99. Thank you. Please may I remind parents to check their children’s hair regularly for head lice and eggs, and take appropriate action. As lice and eggs can be difficult to spot it helps to use an inexpensive head lice comb (available from the chemist). If evidence of lice is found we would ask that the child is kept at home until treatment has taken place. 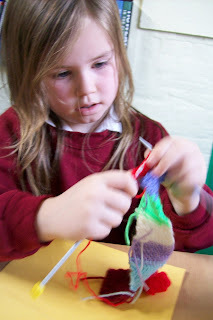 The Year 2 Knitting Club (held on Mondays after school) have been making scarves for their soft toys. 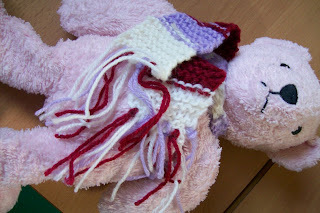 Each scarf is in many colours and some have fringes. 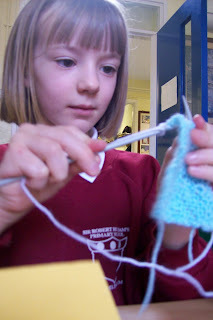 The childrn are also making knitted squares for a blanket. A very enjoyable fund raising evening was had by 140 people. Thomas Mills High School kindly allowed us to use their dining hall for the event. Thanks must go to the band of musicians and all of the organisers on the Friends Association. This week each class has had the chance to test out the new trim trail in their PE lessons. Below you can see a video of Class CA having a great time. Before Christmas we started a sponsored event in aid of the Marie Curie Cancer Charity. This week a number of children have been bringing in their daffodils. Mrs Elphick will be judging the entries soon. It was great to see so many beautiful Spring flowers. 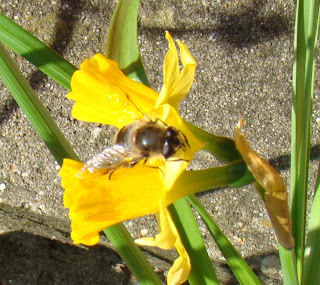 Whilst taking photographs I noticed a bee visiting one of the flowers - Spring is definitely coming!